A golfing favourite for over 40 years, Australian Golf Digest covers it all - how to play, what shots to play and where to play. Every issue has instructional tips and advice from the world’s top coaches and players plus the latest in equipment technology. You’ll also find loads of lifestyle info and news from the best courses and upcoming events to player profiles, tournament previews and reviews. A rotating team of playing editors such as Tom Watson, Jordan Spieth and Adam Scott and internationally recognised instructors such as Butch Harmon and David Leadbetter, contribute each month ensuring readers learn from the best in the game. This is the ideal magazine for golfing enthusiasts of all levels. 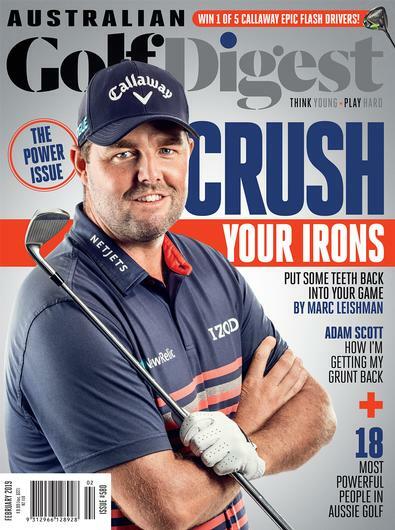 Australian Golf Digest is the country’s best read magazine for the golf enthusiast and has been on newsagents’ shelves for more than 40 years. Each issue features player profiles, instructional advice and equipment news, plus the best lifestyle content for golfers. Australian Golf Digest’s exclusive instruction features from the game’s finest players and coaches ensure readers learn from the very best. A great golf magazine on up to date techniques and golf courses. Also reading about golf experts and their advice. Love chatting about the content with my mates at our monthly Golf meet up!